Pick any top VPN services list and you’ll most definitely find ExpressVPN on the list. It’s one of the few VPNs that is regarded highly, earning positive reviews through the years of service. Not just user reviews, ExpressVPN has earned equally glowing reviews from other professional reviewers. It got us intrigued and we decided to take ExpressVPN for a drive. A bit of introduction is required here. ExpressVPN hails from the British Virgin Islands. It’s operated by a company called Express VPN Internal Ltd. The British Virgin Islands is one of the territories that does not fall under the watchful eyes of the Five Eyes alliance. We’ll explain later in the review what the Five Eyes alliance is and how its presence influences VPN services. But for now, let us go through what ExpressVPN has to offer. ExpressVPN is a service with many prominent qualities. It has features that you’d come to expect from a reputable service like ExpressVPN. These features have become ExpressVPN’s selling point and also give it an edge over many other VPNs in the market. Here’s the breakdown of ExpressVPN’s good and bad. ExpressVPN is an incredibly capable VPN. It doesn’t just possess the industry-leading features, such as the AES 256-bit encryption, but it adds more polish to it. There’s a certain level of quality that gives ExpressVPN dominance over competing VPNs. It is evident the moment you lay eyes on the simple yet polished interface. One of the major selling points of ExpressVPN is the fact that it’s operated out of the British Virgin Islands. The territory is not under the influence of the Five Eyes alliance. Five Eyes is a confederation of five countries: United States, United Kingdom, Australia, Canada, and New Zealand. The group exists for one reason, to monitor its citizens and share information. Communications intelligence is the primary function of the confederation. They have full authority to monitor its citizens because it’s a matter of national security. Because VPN goes against the fundamentals of the Five Eyes Alliance, the group seeks to influence VPN services, installing protocols that act in their favor. They can potentially ask VPN services to maintain logs of every user on the network. Territories that don’t fall under the Five Eyes jurisdiction are free to operate without any such implications. The major VPNs in the market offer zero-log policy. That means your internet activity will never be recorded. It’s an important policy to look for because the VPN server can see everything you do. Without a VPN, every internet request that you make is handled by the Internet Service Provider (ISP). Using a VPN create a “tunnel” between your device and the VPN server. Every internet traffic is then handled by the VPN server instead, it grants you a private IP address to surf the web anonymously. The private IP address allows you to stay anonymous to even your ISP. This also puts your internet traffic at the mercy of the VPN server. This is why a no log/zero log policy is a must. Fortunately, ExpressVPN delivers on that expectation. While there’s no way to confirm that, it’s always important to have it. So make sure never to skip out on having this feature. Any VPN who offers a no-log policy will clearly flaunt it on the features page. If ExpressVPN operated under a different territory, the Five Eyes could potentially ask the service for surveillance on its customers. One of the important features of a VPN service is the number of servers it has. A bigger global network allows you to access more geographic locations. The number of servers also ensure that performance will not slow down during peak traffic. ExpressVPN has one of the best global coverage. It boasts a network of 2000+ servers in 94 countries scattered around 148 locations. Although you can manually pick any region, ExpressVPN lets you speed test each server for picking out the fastest one. Encryption is one of the pillars of VPN. It’s a practice of safeguarding data by coding it in a language that cannot be deciphered without a key. This key is unique and is only handled by the VPN. Internet traffic is encrypted from one end to the other. AES 256-bit is a highly-secure technology that is trusted by security experts around the world, it’s used even by the military. VPN connects you to its server using a private IP address. But what happens when the connection drops temporarily? The ISP can spot your real IP address. Kill Switch is a feature that prevents that. This feature in ExpressVPN kills the internet service if the connection to the VPN service drops temporarily. ExpressVPN comes preconfigured and uses UDP – OpenVPN by default. It’s the most popular protocol of the bunch. One advantage of OpenVPN is that its open source. It means that security vulnerabilities can be identified by anyone. This protocol was cooked up by Microsoft. It’s considered very secure and is available on the Windows operating system. It stands for Secure Socket Tunneling Protocol. PPTP stands for Point-to-Point Tunneling Protocol. This protocol has been around since Windows 95. It’s relatively easy to setup and is considered faster, but comes with the drawback of security. If you set it to automatic, ExpressVPN will choose the best one for your device. L2TP/IPsec is actually two things paired to work together. L2TP is a protocol that stands for Layer 2 Tunnel Protocol. Because it doesn’t provide encryption, it’s paired with IPsec (Internet Protocol Security). This protocol is easier to setup than PPTP. IKEv2 is an abbreviation for Internet Key Exchange version 2. While it supports major platforms, it’s not available on Linux. And although it’s very secure, not every implementation of IKEv2 is equal in security. We built an example of VPN connection acting as a tunnel between your device and the VPN server. What if that tunnel had cracks? It’s not an exact representation but serves to make readers understand. ExpressVPN is built on solid foundations that are designed to prevent from such leaks. The VPN has a built-in tool that lets you test for any DNS leaks. It’s always nice to see services going out there to provide complete satisfaction to customers. A strong and reliable product is only half the picture, the other half is great customer support that customers can always rely on. ExpressVPN comes with a 30-day money-back guarantee. It ensures that if your experience with the VPN is unsatisfactory, you can ask for a refund. 30 days are more than enough to arrive at a definitive conclusion about the VPN. Although it’s unlikely that you’ll be asking for a refund when ExpressVPN is concerned. ExpressVPN recommends that you use OpenVPN for the reasons that include high security, firewall bypass, highly configurable, and open source. OpenVPN is supported by nearly all major platforms, though it requires third-party software for setup. But you don’t have to worry about choosing the best VPN protocol, ExpressVPN automatically picks out the best according to your connection and device. ExpressVPN is simple to use. At a glance, the VPN app interface doesn’t throw much in your face. Everything is laid out simple, so new users will not be overwhelmed. Once you’ve installed the VPN app on Windows or macOS, you’ll be greeted by a simple interface. You’ll see a button on the center indicating the status of VPN connection and location indicator below it. All other options, such as Settings, Account, and Help & Support, are tucked away in a drop-down menu on the top-left corner of the screen. The iOS and Android versions of the app provide a similar experience. People who aren’t tech-savvy would find navigating ExpressVPN easy. The advantage of choosing from the top VPN services is the peace of mind. You don’t have to worry about the VPN not working on your favorite device. ExpressVPN features support for nearly every platform. And for Windows, macOS, iOS, and Android, it features dedicated apps that come preconfigured. ExpressVPN also offers web browser extension for Chrome, Firefox, and Safari. Moreover, devices like video-games consoles, Apple TV, Smart TV, Fire TV, Chromecast, Roku also work with ExpressVPN. The Windows app is available through ExpressVPN’s website. Simply download the .exe, install it, log in with your credentials, and connect with any of the VPN locations available. The interface is easy to use and doesn’t overwhelm new users. When there’s a Windows client, you can expect to see a macOS client as well. ExpressVPN offers a dedicated app for macOS. Similar to the Windows version, it’s clean, simple, and easy to navigate. ExpressVPN for macOS comes preconfigured out of the box. There’s no setup process involved when you first fire up the VPN. ExpressVPN for macOS is built on the OpenVPN protocol, so you get a balance of speed and security. However, you can switch to other protocols at any time. Mobile users shouldn’t feel left out, no VPN is complete without support for smartphones. ExpressVPN supports Android and offers a dedicated app that comes preconfigured. You get the same level of features and security as the desktop versions. ExpressVPN also has a dedicated app for iOS devices. That includes you get to use the full security of ExpressVPN on the go with iPad or iPhone. The iOS app is identical in design and functionality as the Android version. It comes preconfigured but you can choose between UDP, TCP, IKEv2, and IPsec protocols at any time. Another great thing in a long line of things is that ExpressVPN has web browser extensions as well. ExpressVPN for Chrome features the same features found in the full-fledged application version. You also get a smaller memory footprint. It’s convenient when you don’t have to leave the browser to enable VPN. Similar to Chrome, an extension is available for Firefox. All the features of Firefox are included in a small extension package. Features, such as Kill Switch, DNS leak protection, access to 94 countries, and more. If your favorite device is not listed then do not worry. ExpressVPN supports Router configuration for the best compatibility. By direct configuration, the router with ExpressVPN, all devices connected to the network will automatically get ExpressVPN’s protection. The list of supported devices will increase to include video-games consoles like Xbox and PS4, Smart TV, Kodi, Roku, and Fire TV. The British Virgin Islands serves as the home to ExpressVPN. The VPN operates out of what you can term as a safe jurisdiction. It’s important to note this because some VPNs may not have safe jurisdiction. The Five Eyes alliance is a confederation of five major countries. The five countries exercise exchange of signals intelligence. The power that resides in these authorities gives them the power to spy on their respective citizens. Because a VPN goes against the fundamental function of the alliance, it seeks to influence VPN service that comes under jurisdiction. They may request a person’s online activity at will. The entire point of using a VPN in the first place is to protect your identity and stay anonymous online. But with ExpressVPN, you can rest easy knowing that you’ll be truly anonymous on the internet. The British Virgin is one of the few places on the world map that operates independently. We explained earlier how a VPN assumes the responsibility of all your internet traffic. Because all internet traffic is handled by the VPN server, the service can potentially log your entire online activity. This is where the no-log policy comes in. Because the VPN service has the potential to record user sessions, no logs policy ensures that it won’t. It’s a signal of good faith between you and ExpressVPN. It’s a policy that ExpressVPN takes very seriously. A VPN isn’t just a product for security and staying anonymous on the internet, it lets you bypass geo-restrictions. VPN grants you a private IP address that allows you to change your location. For example, you could be living in Australia and use the IP address of United States. This is called spoofing. The web server that you try to connect with will detect that you’re visiting from the United States. VPN has become essential for people who use digital video streaming services like Netflix. Geo-restriction is a real issue with such digital services. Content available in one region differs from other regions due to laws pertaining to that region. Netflix US features the largest library of any available region, it’s the go-to region for Netflix users. Similarly, torrenting is another popular use of VPNs. Although P2P is synonymous with sharing illegal content, many people use it to share files. ExpressVPN fully supports torrenting/P2P and prevents detection by the ISP. All the advertisements for cutting-edge features don’t mean anything if ultimately the product fails to deliver good speeds. But ExpressVPN delivers on that front, as you’d expect from a VPN of such popularity. ExpressVPN’s performance is due to the number of servers available in almost every region of the world. Connecting to the right server plays a huge role in the performance. The closer the VPN server is to your actual location, the shorter the distance internet traffic will have to travel. Thus, decreasing latency. Fortunately, ExpressVPN covers almost every region, up to 94 countries host VPN servers. If accessing region-specific content is not your goal then always connect to the nearest region. This will ensure that you get the best speeds possible. DNS leak is a real issue in VPN. It refers to lapses in VPN protection that reveal your real identity. ExpressVPN is built to prevent such lapses. Server coverage is one of the key pillars you should be checking out before choosing a VPN service. The more regions a server covers allows you to access as many regions. And the number of servers per region ensures that you get smooth performance during high-traffic. ExpressVPN has a global network of more than 2000 servers located in 94 countries worldwide. That’s one of the best VPN server coverage you can get. ExpressVPN features hundreds of servers in the United States region. This allows you to connect to the US region for unblocking digital streaming services like Netflix. Not just Netflix, VPN will open up the possibility of torrenting anonymously. Similar to the US, ExpressVPN has loads of VPN servers setup for the United Kingdom. A VPN is particularly helpful when you consider the Investigatory Powers Bill which lets the UK government spy on its citizen as it sees fit. The bill forces Internet Service Providers (ISP) to log activities of its users. But with ExpressVPN, you can protect your identity and surf the web anonymously. ExpressVPN hosts over 100 servers in Australia, which includes Melbourne, Perth, Sydney, and Brisbane. People living outside Australia can connect to Australia and stream region-specific content or stream events like The Australian Open. ExpressVPN for Australia works on nearly every device and supports major OS platforms. ExpressVPN also features servers for China. The region is notorious for imposing strict online privacy laws and bans VPNs. Many VPNs fail to work in China. Although you may experience some issues when using CPN in China, overall, ExpressVPN works in China. Many services would only put up the effort to sell you the service. They miss out on one of the key ingredients that makes a service successful and that is customer support. Customer support is a great indication of how much a business cares about its customers. Many services would only go as far as to offer email support, but only the best ones in the business offer 24/7 live chat support. ExpressVPN is one such VPN. Whether its email support or live-chat support, ExpressVPN’s customer support team is on duty round the clock to assist customers with their queries and issues. So, how much does it all cost? At the time of writing this article, ExpressVPN is running a special promotion on the 12 Months plan. Customers pay $99.95 and get 3 extra months at no extra charge when they sign-up. After that, the standard price of $194.25 will apply. You’re certainly getting more value out of your purchase if you avail this offer. What’s great is that no matter which package you buy, you get 30-Day Money-Back Guarantee. If you’re not satisfied, you can ask for a refund and ExpressVPN will honor it without a hassle. So, even though ExpressVPN does not offer a free trial, you can rest easy knowing that you have the option to ask for a refund. The 30-day period is more than enough to arrive at a definitive conclusion. When it comes to payment methods, ExpressVPN offers multiple choices. And arguably the most number of payment options. Customers can choose to pay via Credit Card, PayPal, PayPal, Bitcoin, or other digital wallets. ExpressVPN offers a 30-day money-back guarantee to customers. No matter which plan you choose, you get 30 days from the date of purchase to ask for refunds. You can a lot about service when it has enough confidence to offer a 30-day long period. Most services would only offer a 7-day money-back guarantee to customers. The process to ask a refund isn’t cumbersome. While VPN offers incredible security and protects your identity online, the average Joe is less interested in that. The primary function which people VPN for is unblocking restricted content. Digital streaming services like Netflix are ruling the living room. One subscription gives access to countless hours of entertainment ranging from Movies, TV Shows, and Documentaries. And with fast internet connections becoming a norm, it has never been easier to stream in HD. It’s a convenient way to have entertainment ready when you are, there’s no waiting for a download to finish. But while it’s convenient it’s also frustrating due to something called geo-restriction. Digital video-streaming services like Netflix are subject to regulation and censorship. This is why some regions may not display the full library Netflix has to offer. Netflix US is the best way to experience to experience the full breath of Netflix’s offering. VPN here is nothing short of a savior. By switching to a different region, you effectively spoof your actual location with a desired one. Although Netflix is taking a strict approach towards the use of VPN by banning many, ExpressVPN continues to be the few that work. The VPN has no trouble bypassing government restricted websites either. The cherry on top is the unlimited bandwidth feature. No matter which plans to pick, you get unlimited bandwidth. It’s particularly helpful if you download huge files or stream content in 4K Ultra HD. If you only knew how much data a single 4K movie consumes, you’d be thanking ExpressVPN for this inclusion. All of this sounds too sweet – definitely, but ExpressVPN Is not without flaws. During our time with ExpressVPN, the VPN fared well but it was not perfect. For starters, ExpressVPN ranks among the expensive lot in the VPN space. It rarely ever provides a discount on its packages. And on top of that, there are other VPNs on the market that provide better value. ExpressVPN only supports up to three devices simultaneously, whereas competing services offer up to 7 devices. Meanwhile, ExpressVPN only does simultaneous logins for up to 3 devices. Performance-wise or connectivity-wise, ExpressVPN didn’t disappoint. But when it comes to a direct comparison to its competition, ExpressVPN may have a hard time justifying itself to new customers. The number of devices connecting to the internet is increasing every year. It becomes challenging to secure every device. But the technology that powers ExpressVPN fortifies every connected device with little effort. The dedicated apps for major platforms come preconfigured and require no additional setup on your part. In a nutshell, ExpressVPN has all the right ingredients of a great VPN. It has the number of servers worldwide to give access to almost every region in the world. It has strong AES 256-bit encryption technology to protect against threats, and it delivers outstanding customer support. During our ExpressVPN review, we had no problems connecting to the available regions. We also tested out the customer support service which was more than active to assist us. It counts as a plus when many VPN services have not invested in building solid customer support. Furthermore, ExpressVPN offers a “no questions asked” refund policy that is valid for 30 days from the date of purchase. Our experience with ExpressVPN showed us why this VPN is consistently ranked as one of the top services in the market. We can easily recommend ExpressVPN to our readers. 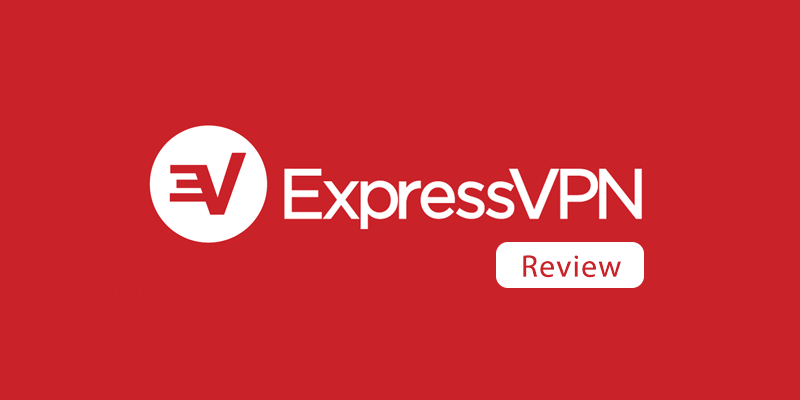 Copyright © 2019 Express VPN Review. All rights reserved.